Alyn met me at the Verona train station at 9p.m. We’re meeting for the first time but I had no problem spotting her because she looks exactly like her sister, my friend, Ruby. She told me that her sister is on European Erasmus program and that I can visit or travel with her. Alyn and I exchanged couple of messages in facebook before my trip, but I forgot where she is based. With my plan-as-I-go style, my trip has been kind of erratic with schedules and directions. It just so happen that when I posted my unhappy status on Budapest, Alyn saw it. Turned out that she’s in Verona, 1.5 hours away from Venice. 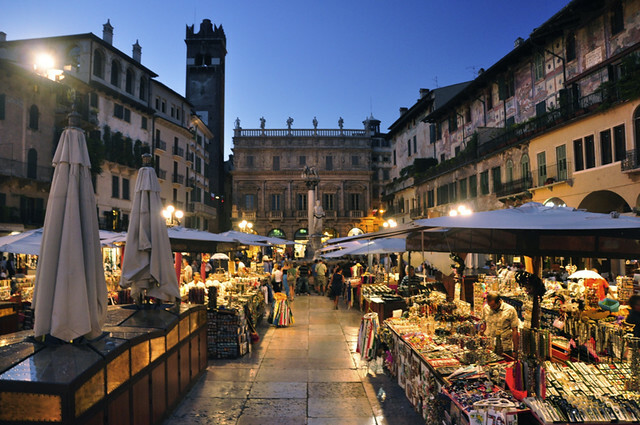 The beautiful town of Verona is one of the main tourist destinations in northern Italy. The city is named a UNESCO heritage site because of its urban structure and architecture. I was told that the reason this city has so many beautiful structures is that it had been ruled by many, everyone built something, and nothing got destroyed–very different from the previous places I visited where only remnants of the past can be witnessed. 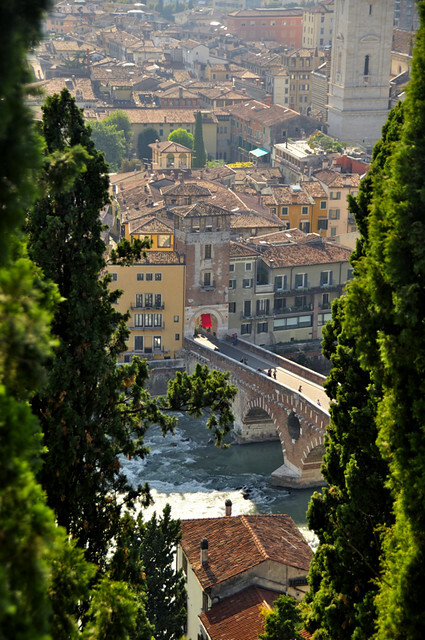 Verona is also known for Romeo and Juliet as it’s the setting for this famous play of Shakespeare. The city obviously bank on this and LOVE (Romen & Juliet souvenirs) is marketed everywhere. The Casa di Giulietta built in the 13th century is one of the most visited site here. Its tiny courtyard is packed with tourists with the highlight being a bronze statue of Juliet where it’s supposedly good luck charm for love to rub her. But any mood for love disappears with the pervert clowns rubbing Juliet’s bronze breasts (as in photo). I missed Verona since we give up our hotel in Milan. So we travel direct from Turino via Milan on day trip until Venice. But thank you for the letting me understand the significance of the place. Hope on my next europe travel I can have the chance to see the mentioned places in your blog. Verona. Lovely photographs! 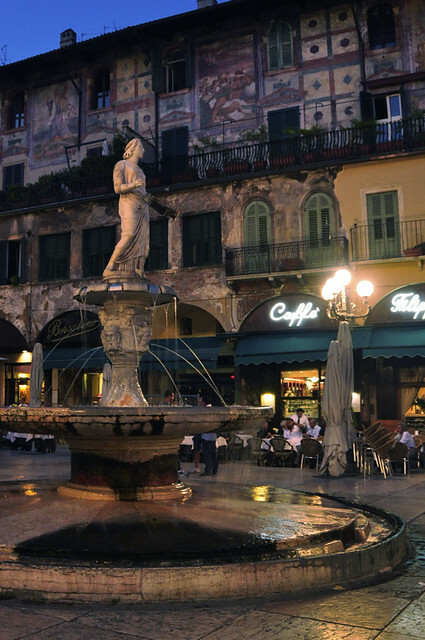 Visiting Verona was a nice trip before going to Venice in my opinion. I love how fairy tale like the town feels. The Arena was definitely a highlight of my vacation in Italy. I wish I could have seen an opera there. jst saw ur postcard post…hope you are still in verona..id luv to hav coffee with you there *in spirit hehee* and when you could, buy me a postcard plssssss* weeeeeeeeh!